BAN-O eliminates unpleasant odours at the source. 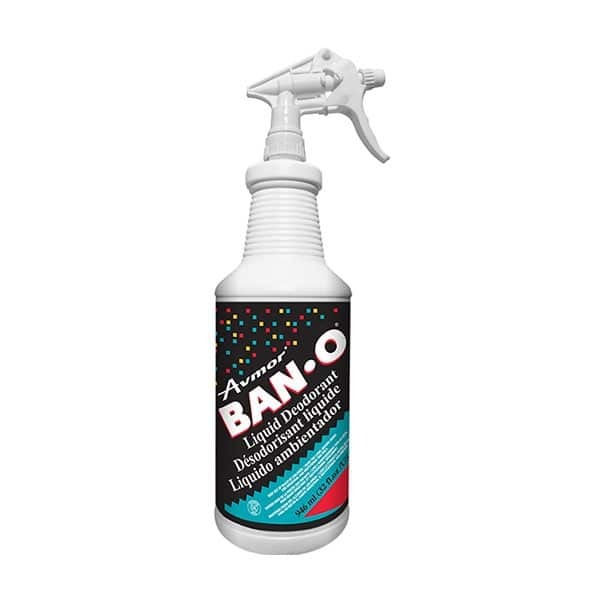 BAN-O is an excellent deodorant for use in washrooms, garbage cans, refuse disposal bins, lockers, changing rooms, and anywhere offensive odours exist. SPRAY DEODORANT: For best results always spray BAN-O diluted. Mix 1 part BAN-O to 10 parts water and spray BAN-O where malodours exist. 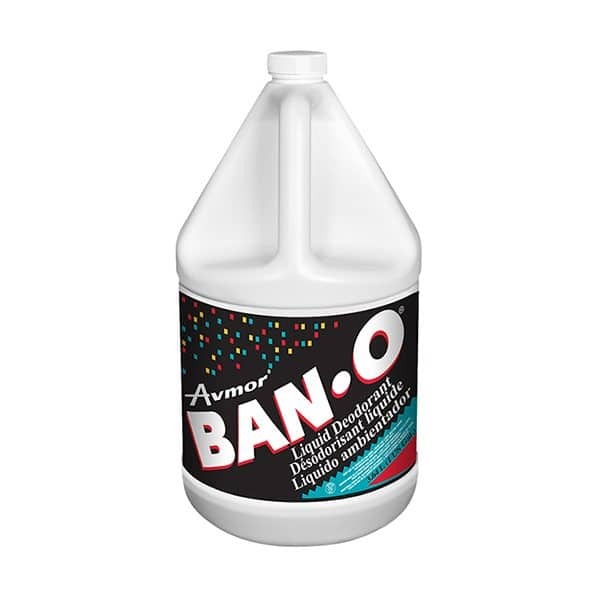 FLOOR MOPPING AND CARPET EXTRACTION: Add 1 part BAN-O to 80 parts cleaning solution already in a pail or solution tank. BAN-O eliminates the source of unpleasant odours such as mildew, smoke and garbage, leaving facilities smelling fresh and clean. BAN-O EXTRA STRENGTH ODOUR CONTROL: BAN-O is ideal for eliminating odours in bed pans, diaper pails, urinals, floor drains and sewers. Pour BAN-O undiluted where odours exist.